Fresh poultry — chicken, turkey, duck and goose — is defined by the USDA as poultry that has never been below 26 °F. When held at temperatures ranging from 26 to 40 °F, there is minimal ice crystal formation and poultry meat is still soft and pliable. There should be no detectable odor. The surface should not be slick nor have a shiny appearance, and should not have color defects (flesh discoloration or bruises larger than the size of a dime). Look for packages that are cool to the touch and have no tears, punctures, torn or missing labels. Always remember to select poultry just before checking out at the register. Make sure all poultry, whether raw, prepackaged or from the deli is refrigerated before and after it is purchased. Prevent cross-contamination by keeping fresh meats separate from other items. Put raw poultry packages in a plastic bag so “juices” won’t drip onto other foods. If raw poultry “juices” do drip on other foods, it is best to throw these other items out and immediately wash surfaces and hands. Pack raw poultry in an ice chest if it will take you more than an hour to get home and keep the ice chest in the passenger area of the car during warm weather. Take poultry straight home to the refrigerator or freezer. Dating of Poultry Products: Product dating is not required by federal regulations. However, many stores and processors may voluntarily date packages of poultry or poultry products. If a calendar date is shown, there must be a phrase explaining the meaning of the date. Consumers should use or freeze poultry products within one or two days of purchase. If the manufacturer has determined a “use-by” date, observe it for peak quality and freshness. It ’s always best to buy a product before its date expires. If a date expires after the poultry is frozen, the food can still be used. However, quality begins to deteriorate after one year of frozen storage for whole poultry and nine months of frozen storage for poultry parts. Product Inspection & Grading: All poultry found in retail stores is either USDA-inspected for wholesomeness and safety, or inspected by state systems using standards equal to the federal government. Prior to entering the processing plant, live birds are inspected for signs of disease. Diseased birds are immediately condemned and do not enter the processing plant. In the plant, each animal and its internal organs are again inspected for signs of disease. The “Passed and Inspected by USDA” seal ensures that the poultry is wholesome and free from disease. Inspection is mandatory, but grading for quality is voluntary. Poultry are graded according to USDA regulations and standards for meatiness, appearance and freedom from defects. Grade A chickens, the best grade, have plump, meaty bodies and clean skin, free of bruises, broken bones, feathers, cuts and discoloration. Prestuffed Poultry: Buying retail-stuffed whole poultry is not recommended because of the highly perishable nature of a previously stuffed item. Some USDA-inspected frozen stuffed poultry MUST be cooked from the frozen state to ensure a safely cooked product. Refrigeration: Packaged fresh poultry may be refrigerated in its original wrapping in the coldest part of the refrigerator for up to two days. Cooked, cut-up poultry is at its best when refrigerated no longer than two days; cooked, whole poultry (without stuffing) may be stored for three days. 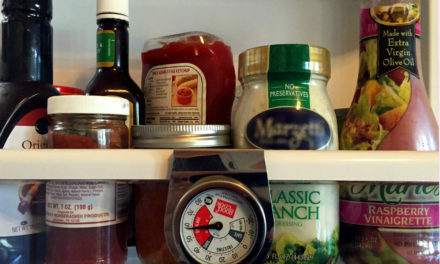 Use an appliance thermometer to make sure refrigerator temperature is set at 34 to 38 °F. Also check the meat compartment for proper temperatures. NEVER leave poultry in a hot car or sitting out at room temperature. Refrigerate or freeze fresh poultry IMMEDIATELY after bringing it home. Store uncooked poultry items together, separate from cooked foods. 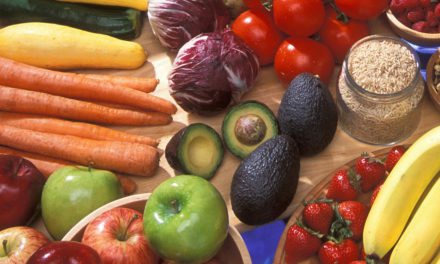 Make sure the raw juices do not drip onto other foods. Keep poultry refrigerated until you are ready to cook it, or in an ice chest for carry out. Freezing: Freeze fresh poultry if you do not plan to cook it within two days after purchase. Avoid freezer burn by using heavy-duty foil, or moisture-and vapor-proof freezer bags or plastic wraps that keep out oxygen. Be sure to press the air out of the package before freezing. Wrap chicken parts separately and label for ease in selecting just the right number of parts to thaw for a single meal. Poultry may also be frozen in its original wrap if it is first overwrapped in freezer-appropriate packaging to prevent quality loss. Cooked parts may be frozen in the same way as fresh, unless made with a sauce or gravy. In that case, pack the chicken in a rigid freezer container with a tight-fitting lid. Cleanliness: Always wash hands thoroughly with hot, soapy water before preparing foods and after handling raw poultry. Don’t let raw poultry or juices touch ready-to-eat foods either in the refrigerator or during preparation. Don’t put cooked foods on the same plate that previously held raw poultry. Always wash utensils that have touched raw poultry with hot, soapy water before using them for the cooked poultry. Wash counters, cutting boards and other surfaces raw poultry have touched. Sanitize these surfaces with a solution of a teaspoon of chlorine bleach per quart of water before using for other foods. Thawing: Thaw uncooked poultry in the refrigerator or in cold water. NEVER thaw poultry at room temperature. To thaw poultry in cold water, leave the poultry in its original wrapping or place it in a watertight plastic bag. Change the water every 30 minutes. Be sure to clean and sanitize the sink, bowl or dish used to thaw poultry. For quick thawing of uncooked or cooked poultry, use the microwave. Thawing time will vary according to whether you’re thawing whole poultry or parts, and the number of parts frozen together. Use the DEFROST or MEDIUM-LOW setting, according to the manufacturer’s directions. Turn poultry and separate parts as they thaw; taking care the meat does not begin to cook. Repeat as needed. Cook poultry immediately after thawing in the microwave oven. See Table 2 for defrosting times. Marinating: Marinate poultry in the refrigerator, not at room temperature. Discard the marinade after use because it contains raw juices, which may harbor bacteria. Use leftover marinade as a sauce only if first brought to a rolling boil for one minute. Importance of Kitchen Thermometers: One of the critical factors for minimizing bacteria in food is controlling temperature. Most pathogenic microorganisms grow very slowly at low temperatures, multiply rapidly in mid-range temperatures and are killed at high temperatures. For safety, foods must be cooked thoroughly. It is essential to use a thermometer when cooking meat and poultry to prevent undercooking and foodborne illness. Using a thermometer is the only reliable way to ensure safety and to determine the “doneness” of most foods. To be safe, a product must be cooked to an internal temperature high enough to destroy any harmful bacteria that may have been in the food. Color and texture changes in meat and poultry cannot be relied on to determine that foods have been safely cooked to destroy all bacteria. All poultry and all stuffing, whether cooked alone or in the bird, must be cooked to an internal temperature of at least 165 °F. For reasons of personal taste or texture preferences, consumers may choose to cook poultry to higher temperatures. When cooking whole turkey, the thermometer should be inserted into the thickest part of the thigh, without touching the bone. For chicken, and other smaller poultry, insert the thermometer in the thickest part of the breast. If stuffed, the center of the stuffing should be checked after the thigh or breast reaches 165 °F. If cooking poultry parts, insert the thermometer into the thickest area, avoiding the bone. The thermometer may be inserted sideways if necessary. When the food being cooked is irregularly shaped, the temperature should be checked in several places. Estimated cooking times for chicken, duck, goose and turkey are described in Table 1. Sometimes consumers will notice a pink color in fully-cooked poultry. Commercial marinades may have a small amount of nitrites or nitrates (the same ingredients used to cure meats) which gives poultry a pink color even when it is fully cooked. Ground Chicken or Turkey: Ground meats must be cooked thoroughly to kill harmful bacteria. Unlike whole muscle meat, whose interior meat is sterile, the grinding process exposes the interior meat in ground poultry to bacteria, which may be on the surface, in the air, on equipment or on people’s hands. To kill bacteria, food safety experts have one major rule of thumb: Cook ground poultry to at least 165 °F. This step, while very simple, offers the best protection that consumers can have for serving ground poultry products safely. Wash hands with soap and water before serving or eating food. Serve cooked products on clean plates with clean utensils and clean hands. Never put cooked foods on a dish that has held raw poultry unless the dish is washed with soap and hot water. Hold hot foods above 140 °F and cold foods below 40 °F. Never leave foods, raw or cooked, at room temperature longer than two hours. On a hot day with temperatures at 90 °F or warmer, this decreases to one hour. Always use clean utensils and storage containers for safe storage. Divide large amounts of leftovers into small, shallow containers for quick cooling in the refrigerator; avoid placing large pots of stuffing or gravy in the refrigerator to cool since it will likely take until the next day for this amount of food to cool. Remove the stuffing from whole poultry and carve the meat off the bones. Store meat and stuffing separately in the refrigerator or freezer. For storage in the refrigerator, wrap cooked meat and use within three days. For frozen storage, wrap meat in heavy foil, freezer wrap or place in freezer container. For optimum taste use frozen stuffing within one month and frozen turkey within two months. If you may have kept the food refrigerated for too long, throw it out. Never taste food that looks or smells strange to see if you can still use it. For more information request HGIC 3560, How to Cook a Turkey and HGIC 3515, Safe Handling of Wild Game Birds. For information on Avian Influenza, see HGIC 4351, Avian Influenza (Bird Flu). Always use a thermometer to check proper internal temperatures to make sure poultry is thoroughly cooked. All poultry should be cooked to a minimum safe internal temperature of at least 165 °F. For reasons of personal taste or texture preferences, consumers may choose to cook poultry to higher temperatures. Cooking times listed in the table below are only estimates. Whole Turkey 12-14 lbs 3-3¾ hrs 3½-4 hrs 3-4 hours (smoked)* 14 lb. turkey maximum. 9-10 min/lb. Do not stuff. Whole Duckling – Do not stuff. 4-6 lbs 30-35 min/lb at 350 °F 2½ hrs (smoked)* See below. Duckling Breast, boneless Brown skin-side down in a skillet over medium heat. Then cook in a 425 °F oven 12 minutes. Grill skin side down 6 minutes; turn and grill 7 to 8 minutes. Or smoke 1 to 2 hours* See below. Duckling legs and thighs Roast 1¼ to 1½ hours at 325 °F. Grill legs/ thighs 30 minutes, turning every 5 minutes. Or smoke 1½ to 2 hours. * See below. Whole Young Goose 8-12 lbs 2½ -3 hrs at 350 °F unstuffed. Add 15 to 30 minutes for stuffed. 2½ to 3 hrs (smoked)* Do not grill. See below. Young goose, cut up 2 hours 35-40 min (grilled). 2 hours smoked* See below. *If smoked, use indirect heat and a drip pan rather than direct heat when grilled. DO NOT STUFF. **Prick skin of whole duck or goose before roasting or smoking so fat can render. Microwaving Directions for Duck or Goose: Prick skin of whole duck or goose and place on rack in an oven cooking bag or covered dish. Microwave on high 6 to 7 minutes per pound. Crisp in a 500 °F conventional oven 10 to 20 minutes. To microwave parts, arrange so thick parts are toward the outside of dish and thin or bony parts are in the center. Allow 10 minutes standing time after cooking for bone-in goose or duck; 5 minutes for boneless breast. Always cook poultry to a minimum internal temperature of 165 °F. Whole/Pieces 2-3 days 4-6 months Use Defrost mode. Cook immediately. Whole 1-2 days 12 months 24 hrs/5 lbs 30 min/lb Change water every half hour. Check manufacturer’s instructions for the size of turkey. Whole 2-3 days N/A Use Defrost mode. Cook immediately. Whole 1-2 days 6 months 1-2 days 2-3 hrs Check instructions according to size. Whole/Pieces 2-3 days 2-3 months Use Defrost mode. Cook immediately.